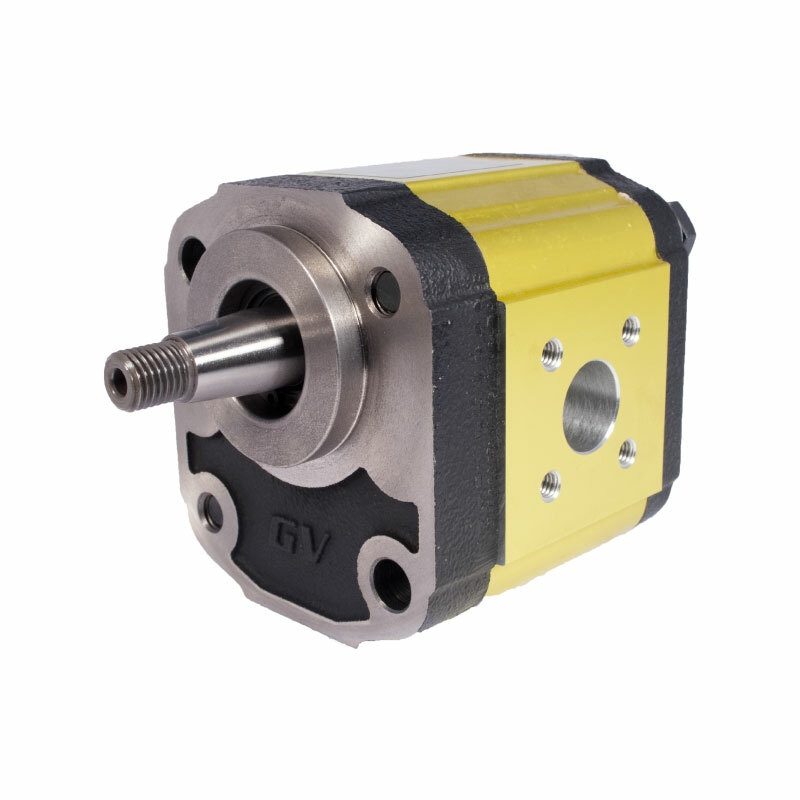 Standard unidirectional hydraulic motor with external gears, with cast iron flange and cover. It is a component of group 2 and of the HY type, according to our product classification for the application of screws. 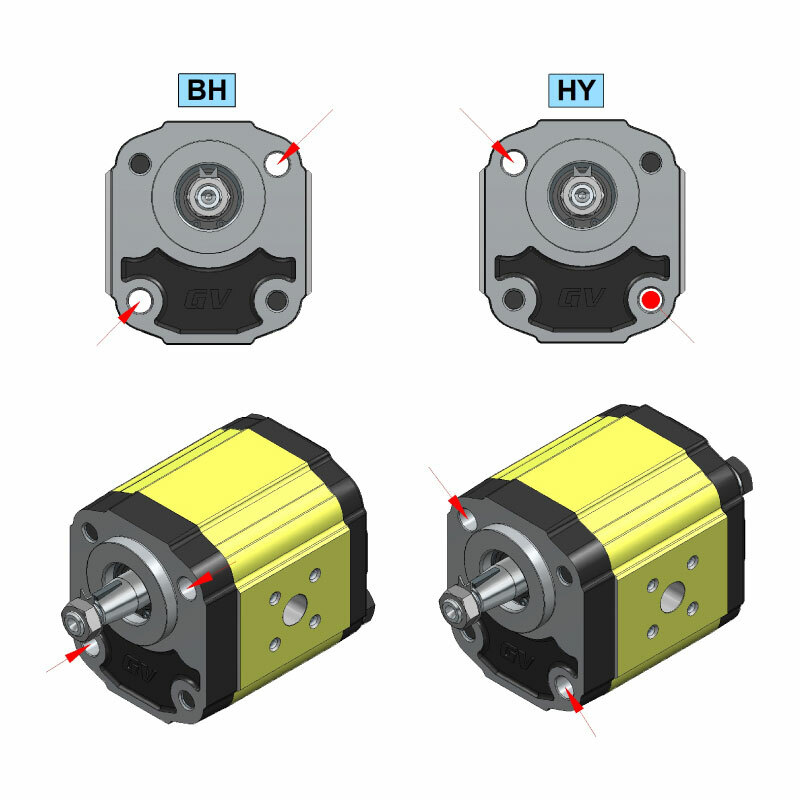 In the following/adjacent figure, you will find a diagram showing where the empty holes for the fixing screws are located on the HY models. The flange of this model has a diameter of 50 mm. The rotation verse of the motor is clockwise or counterclockwise and you can reverse it without having to add any components* to optimize storage space and adapt the product to your needs.